TABLE 23.8.1. Values of Where Tion Is the Kepler Period of a Body at the Ionization Distance and Is the Period of Axial Rotation of the Central Body. 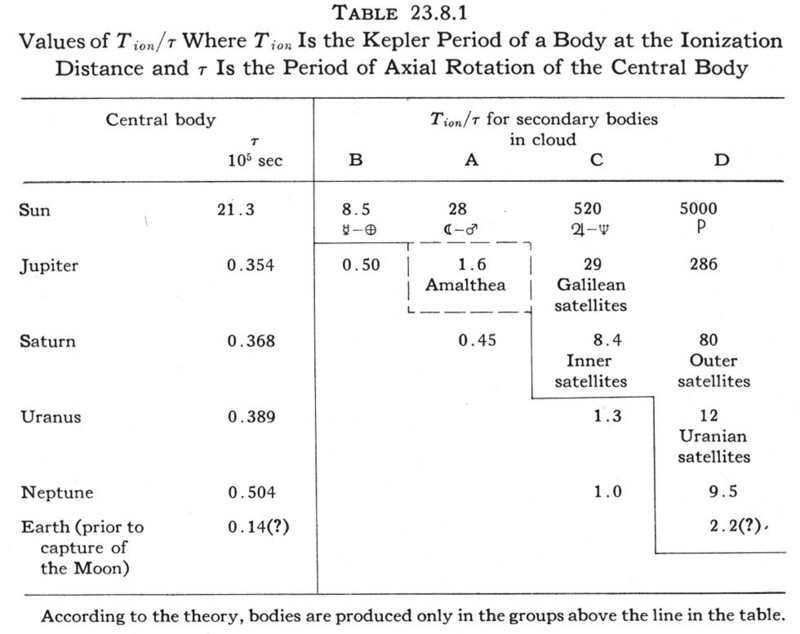 According to the theory, bodies are produced only in the groups above the line in the table.